The recipe is adapted from Smitten Kitchen’s Cheese Straws. What I changed was using chili powder instead of red pepper flakes because I thought those would be overwhelming with the small size of the cheez-its i was creating. I also, obviously, didn’t make them ‘straws.’ They were still really delicious! So some notes on what could be improved – The 1/8th inch thick that Deb says to use is just a little too puffy for cheez-its (though I think it would work perfectly for the straws). It’s hard to go thinner but I think the next time I make these, I’ll also make them a little larger. It was a HUGE pain to transfer all those little cheez-its from the cutting board to the baking sheet. Definitely give these a try if you like cheez-its but are not so much a fan of the chemicals in normal ones. 3. On a lightly floured surface, using a lightly floured rolling pin, roll the dough into an 8- by 10-inch rectangle that is 1/8-inch thick. 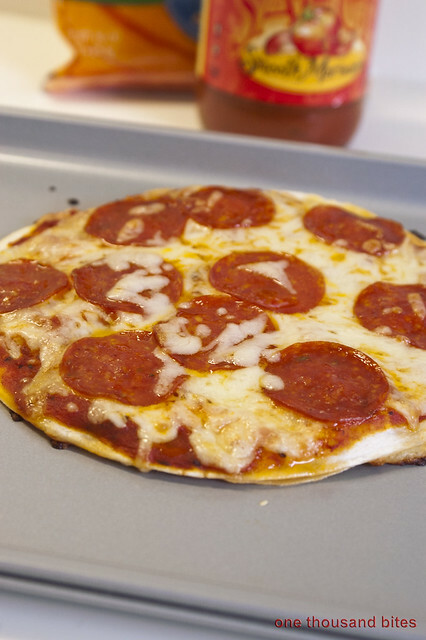 With a sharp knife (or a pizza or pastry wheel; both worked great), cut the dough into thin 8-inch strips, each 1/2 -inch wide (dipping the knife in flour after every few inches ensures a clean cut). Then work the other direction to create the squares. Gently transfer the crackers to a parchment lined cookie sheet, leaving at least 1/4-inch between them. 4. Bake the crackers on the middle rack for 12 to 15 minutes, or until the corners are barely browned. Remove from the oven and set the cookie sheet on a rack to cool. 5. Serve at room temperature. Cheez-Its will keep in the refrigerator, in a sealed container, for two days. This is a bit of old news, but I’ve so far made two ultra basic loaves of bread! By ultra basic I mean “flour, salt, yeast, and water” is the entire ingredient list and it is labeled as an “almost no-knead” bread. This is an adapted version of the original Cook’s Illustrated “Almost No-Knead” found at Breadtopia. It’s really simple to make even for those of us living in a tiny dorm room. I’ve been adding white whole-wheat flour and it’s really good! Just a few notes about this recipe though. Even introduction of flour is important and the dough will seem dry after stirring together the ingredients. It gets REALLY wet after the LONG 18 hour rise. 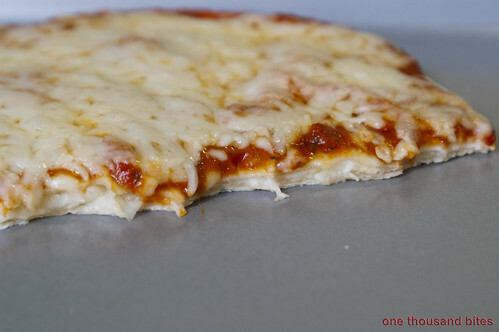 The kneading of this dough is extremely simple and can be done just on a cookie sheet on the floor. I know this from my adventures in dorm baking. Words of caution – use a real bread knife to cut this, it gets messy otherwise. That may seem straight forward, but this is not a bread you can pinch apart to enjoy. I think it tastes better with some jelly or other topping but there were plenty of people at the newspaper office who seemed just fine eating it plain! I’m about 4 slices into my second loaf of what is called Sally Lunn bread. The recipe is, again, from Smitten Kitchen (as most of them will be until I bake/cook my way through her site). 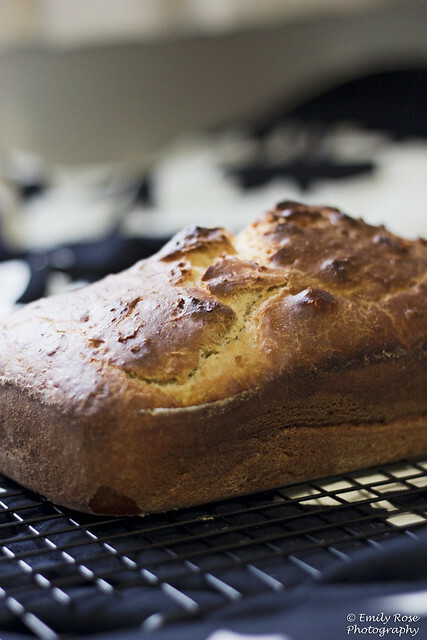 This is a fairly simple, no-knead bread that has a sweet flavor and dense texture. Loaf #1: I made the first loaf for my first Wednesday (deadline) night as Assistant Photo Editor for the Ithacan, our newspaper. Some problems arose as this was my very first loaf of bread… ever. I had allotted 15 minutes to put the ingredients together. I think, at my best in a dorm room, I could maybe make it 20 but that’s not going to happen while I do not have my own kitchen. And then I went to let the bread rise, but I stuck the plastic wrap to the bread instead of on the top of the mixing bowl. Oops, that was a giant sticky mess. My rising time (3 hours) for that loaf is just way off. I am using instant yeast in all my breads so I doubled the amount as per comment 299 on the recipe. The dough for this bread is EXTREMELY sticky. Absurdly so. My flimsy scraper just could not do the job of getting the dough to the baking pan relatively easily… so that goes on the shopping list. The oven in the kitchen here seems to run a bit hot so I put the loaf in for 28 minutes and it had a very thick crust and the thermometer came out perfectly clean reading 190-200˚. I took it in to the office after it had barely cooled so by the time we ate pizza it was all good. It got devoured so quickly that I had to make a second loaf today. Loaf #2: My only severe mistake was pouring cold milk onto the hot, melted butter. It makes the butter get all hard and weird very quickly and is not easy to incorporate in that state. I do not heat them together as the recipe states because I am using instant yeast which does not need to be proofed. I put the plastic wrap in the right place this time!! But I’m thinking that even with doubling the yeast, at least in my room, 1 hour is not enough rising time. It is hard to do the 2 finger indent test with such a sticky dough. So next time I’m going to give it 2 hours of rise and then see if that helps make the final product taller and fill out the pan more. My bread pan is slightly larger than the one that Deb uses but my bread is really short and it kinda sags so, time to try something new! Also, the running hot oven never ceases to fail me on baking times. I tried 27 minutes today and it still worked fine but I am having a bit of trouble with the crust. My breads have a really hard crust that doesn’t jive with the interior texture at all. So for next time, I’m going to try putting the oven at 350˚ and checking it at 28 minutes again. So I got super bored today and impatient waiting for my order of yeast to come from Amazon and decided to work with what I have and make peanut butter and jelly pop tarts. The recipe is from Smitten Kitchen and worked like a charm. I used all white flour instead of opening my new wheat flour. Everything went really smoothly until it was time to roll out the dough. Obviously, being in college doesn’t mean you have common sense so I have no rolling pin. Instead, I hand molded it and rolled with a jar of peanut butter and roll of duct tape. The thickness of the dough seemed to turn out fine. I didn’t have a ruler so the edges are a little rough but they turned out well. I think the mounds of peanut butter jelly mix are a little high for the normal pop tart filling, but that’s what repetition is for, to improve. The tarts were so filling! I’ve just been giving them away to people on my floor. But once I make it to Wegmans again, I’ll make cinnamon sugar pop tarts!